make something. it feels good. The PTA at the kids' school was hosting a Hallowe'en dance party, and I volunteered to organize a costume contest for the kids. 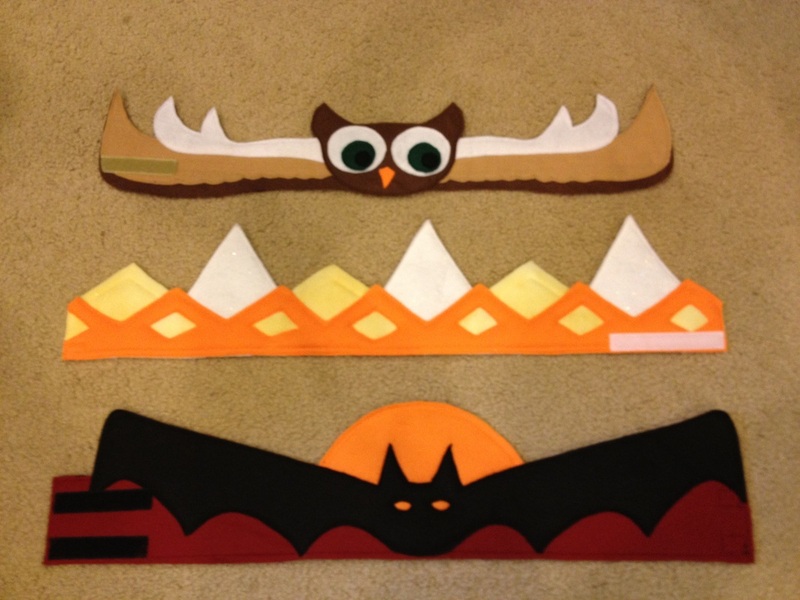 As prizes, I designed a set of three felt crowns for cutest, silliest, and scariest costumes. 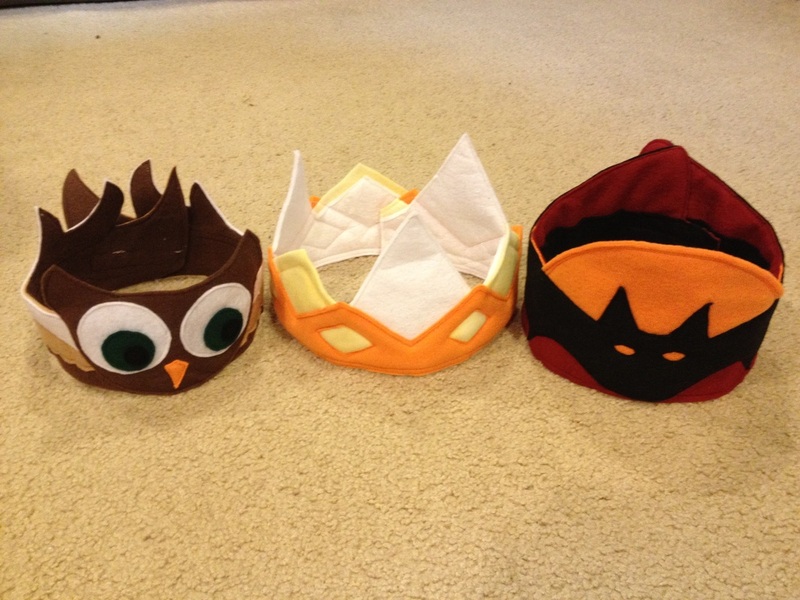 Each crown was adjustable with a velcro strip. The kids loved them! I really should make these more often. They're so fun and adorable.